Apple Leisure Group (ALG) and NH Hotel Group (NH) have announced a strategic alliance to bring AMResorts brands to Europe. An ALG company, AMResorts will debut in Spain with its Secrets Resorts & Spas adults-only brand, and Dreams Resorts & Spas family-friendly brand, as well as introduce Amigo Hotels & Resorts, a new three-star brand offering a concept completely different to the collection’s current offerings. AMResorts, which has a number of resorts affiliated to RCI through its Unlimited Vacation Club, will oversee brand management and sales while NH will maintain operational management of the resorts. The first four hotels in AMResorts’ European portfolio are slated to open in Spain in 2019. Alex Zozaya, CEO of Apple Leisure Group, said: “Spain has an abundance of beach and leisure destinations as well as one of the strongest all-inclusive resort markets outside of the Caribbean. 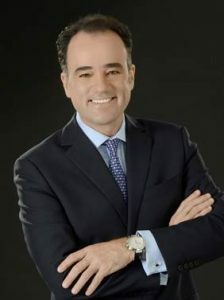 Ramon Aragonés, CEO of NH Hotel Group, added: “This alliance is the result of a long-standing relationship between both companies, and will combine the recognised brands and dynamic sales and marketing experience of the North American-based AMResorts, with NH’s extensive experience as a leading hotel operator in Europe and Latin America. The expansion into Europe marks the next phase of a long-standing partnership between the companies, which began in 2011 when they established a similar model to open three resorts in the Dominican Republic. Through the alliance, the companies will evaluate additional conversion opportunities as well as new builds to expand AMResorts’ footprint in Europe. AMResorts’ first four European properties will debut in 2019 in Lanzarote, Fuerteventura and Mallorca. The resorts will be conversions of existing hotels, which will undergo complete renovations to meet the standards of AMResorts’ brands. In addition to introducing Secrets and Dreams Resorts & Spas in the market, AMResorts’ will introduce Amigo Hotels & Resorts, a three-star, all-inclusive resort brand. Catering to families and couples, the resort will emphasize a high calibre of service and quality-driven gastronomy programme, while providing value for guests. Gonzalo del Peon, AMResorts president, said: “Travellers visiting Spain’s premier beach and leisure destinations are seeking the perfect combination of service, amenities and a cost-conscious price point – this is the sweet spot of the Amigo brand.